Valentine’s Day will be here in just a few days, threatening the teeth of children everywhere as they are surrounded with sugary snacks. Pediatric dentists Dr. G and Dr. Mo at Must Love Kids Pediatric Dentistry encourage parents to use these simple tips to help protect their children’s teeth this Valentine’s Day! 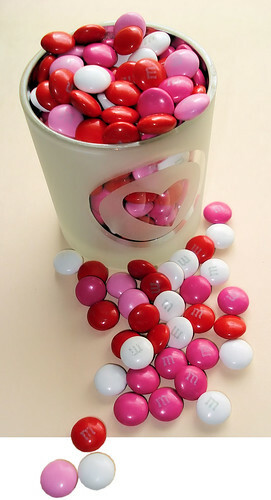 Believe it or not, there are some varieties of Valentine candy on the market that are worse for teeth than others. Lollipops and similar hard candies, for example, essentially bathe your child’s teeth in a bath of sugar, giving bacteria more opportunity to create the acid that erodes teeth and leads to cavities. Candy that is overly sticky or chewy – like caramel – is difficult to remove and tends to “stick” around, causing decay. Instead, consider providing chocolate as a delicious Valentine’s Day treat. In moderation, dark chocolate especially is better than other forms of candy, especially if it is high quality. Help protect your child’s teeth by offering a portion of chocolate to celebrate this lovely holiday. Once kids bring home their special Valentine boxes full of candy, it’s time to sort through it and set some aside. Portion out some that the kids can eat that day, preferably shortly after a meal full of protein and vegetables to help balance out the sugar shock. Set boundaries with your children concerning the rest of the candy stash, portioning out a bit of it each day. After a couple of days, donate the candy or hide it in the freezer where the kids won’t find it – out of sight, out of mind. Whether they are themed for the season or not, any of these gifts will be appreciated by children and will help balance out all of that candy. Regardless of how long the Valentine candy sticks around, it’s important to keep up good daily dental habits with your children. Help them to brush all surfaces of their teeth, once in the morning and once before bed. Don’t forget to floss with your kids once a day, getting the floss down where the teeth meet the gumline to get the plaque that the toothbrush can’t reach. Happy Valentine’s Day from Vancouver pediatric dentists Dr. G, Dr. Mo and the team at Must Love Kids Pediatric Dentistry! Call us at 360-450-2999 to schedule your next appointment.